Hi my dear friends! Today, despite what I said the other day about giving up water-colouring, I thought I'd have a go at 'no line water-colouring' as it is very popular at present. So, I stamped the main image from my Stampin' Up ' Birthday Blooms' set in a pale ink and had a go. I should have kept to my vow to stick to what I can control - pencils - and give up on water-colouring as a colouring medium and just use it for backgrounds and such, because I just can't control it! I can't get the same depth and beauty that everyone else seems able to do, but never mind, I still made it into a card anyway. 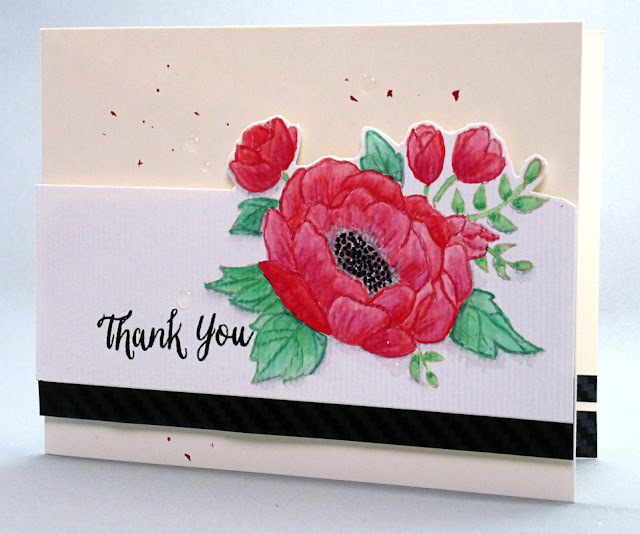 I fussy cut around the top portion of the image, stamped a sentiment in black and added a black strip on the bottom for balance and mounted it with foam on to a cream card base that I'd flicked with red paint splats. To finish it off I added a few black dots with a Glaze gel pen for the flower centre and some drops of Glossy Accents to look like water droplets and called it a day. Comparing ourselves to others is never a good idea (even if we all do it). Those other people whose work you admire so much might have practiced for a long time... So don't give up! 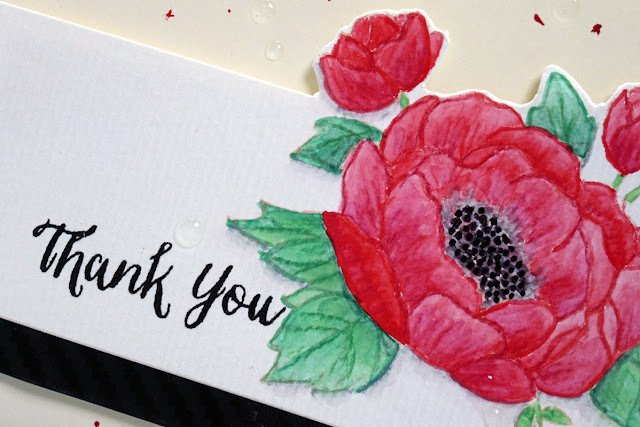 I think your card is very pretty - love how you cut around the rose on the top! Forgot to mention that I have played with this technique months ago (didn't come out as perfect as those others either) but I haven't made it into a card yet. Bravo to you for doing it right away! i have tried no line watercolouring so many times and have had so many failures i've totally given up on it and just do what i know can do - and i'm ok with that. and you've used your lovely flower in such a pretty design - so who would ever know you think it's a failure. you're braver than i am - i don't ever publish my failures. have a great weekend. I've not tried that technique. I think you are being too hard on yourself Hazel. Your card looks beautiful to me and I'd never have know it wasn't as you meant it to be. Having said that I don't mind pointing out my mistakes. I think what you say is right because we all make them and learn from each other. That's part of the fun. Such a pretty card, Hazel. 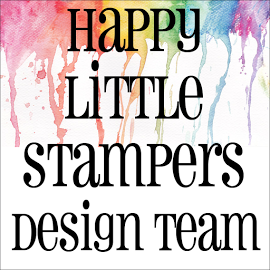 You seem to have a lot of Stampin' Up goodies. Have you been stockpiling them? Hazel my dear, you are way too hard on yourself. I honestly cannot call this a failure. Your card is so pretty and I do like your water colouring. I know I am far from an expert in watercolouring but still I do have an eye for beautiful things and my eye just caught one. i think you're being very hard on yourself - I really like this card - I'm one of the novices you mention and am learning lots from the blogs I've found - and I hope practice will improve my attempts. Thanks for sharing - its reassuring to know that even the experts dont feel they get it right every time!! Well, I can't see anything wrong with this at all but I know we are our own worst critics. I haven't tried the no-line colouring yet because I don't think it will turn out well either. My hands shake enough as it is, so the added pressure of staying in the lines is probably more than my hands can take!! I like your card, Hazel, even if you think it's not up to par. 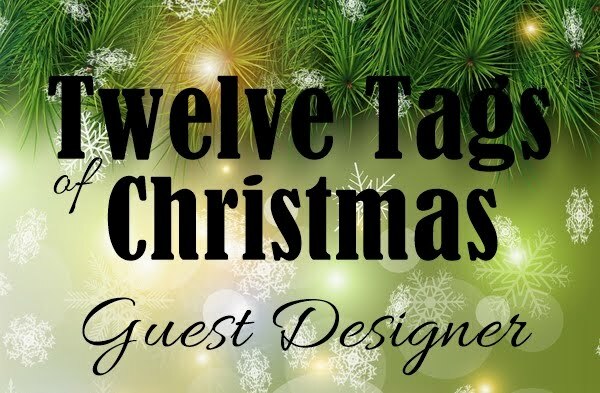 I haven't even tried this technique, so you're a more adventurous crafter than me! The flower has turned out good ! You can do it with just some more trials !! I agree pencils give more control .One tip I can share is color one petal at a time take care not adjacent ones , and using lighter shade of ink for stamping ! Don't give up on watercoloring, my friend! It gets better with each try. It's really hard to get the right amount of water and paint. Sometimes I find that if I don't try to control it and just go with the flow, it works better. I think this is a beautiful flower and I have trouble with the no line watercolor. I think you watercoloured flower looks great, my friend!!! I haven't tried watercolouring myself as I don't really have suitable stamps to try it with!!! But I'm sure if you keep on trying you will get there!!! You're definitely too hard on yourself, as your flower looks very pretty!!! 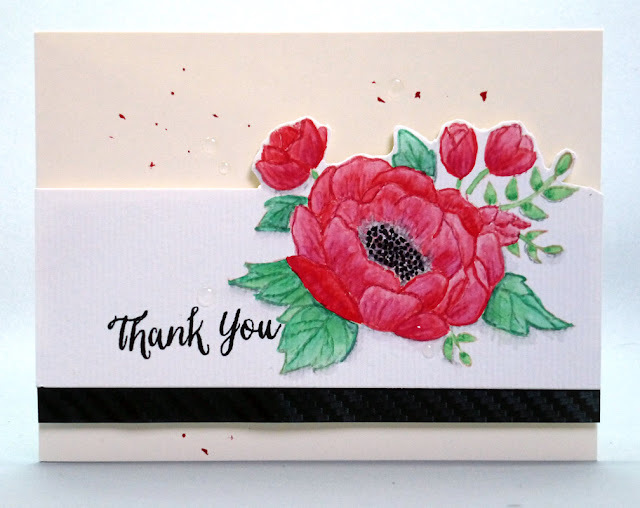 I love how you've cut around the flower at the top and mounted the flower panel with the black strip onto your card base!!!! 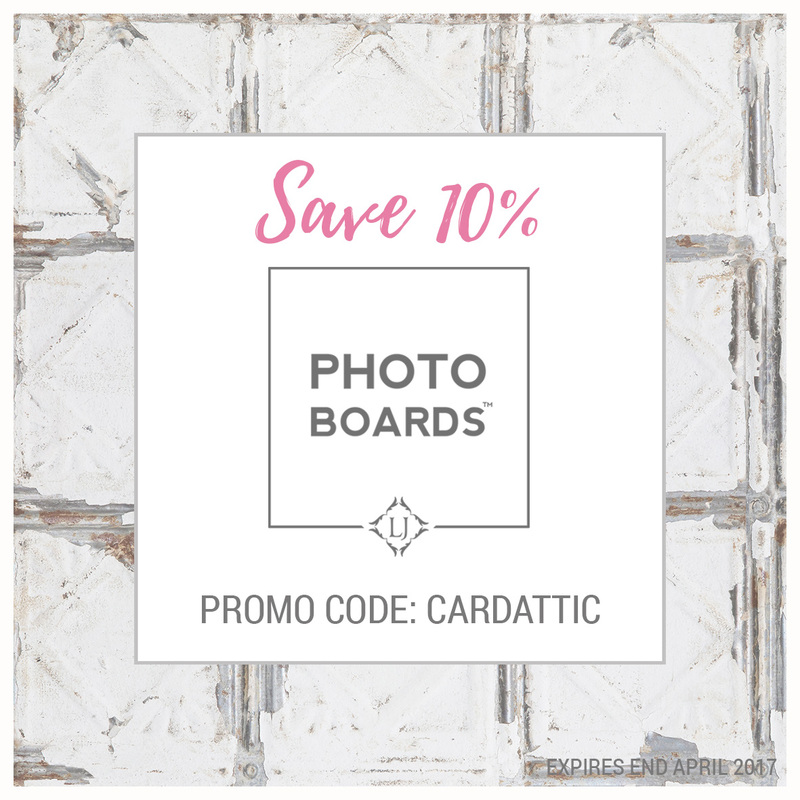 I also like the colour of your card base - it works beautifully with the white of the flower panel!!!! Such a beautiful card, my friend!!!! Have a great Sunday afternoon!!!! This is just so beautiful Hazel! 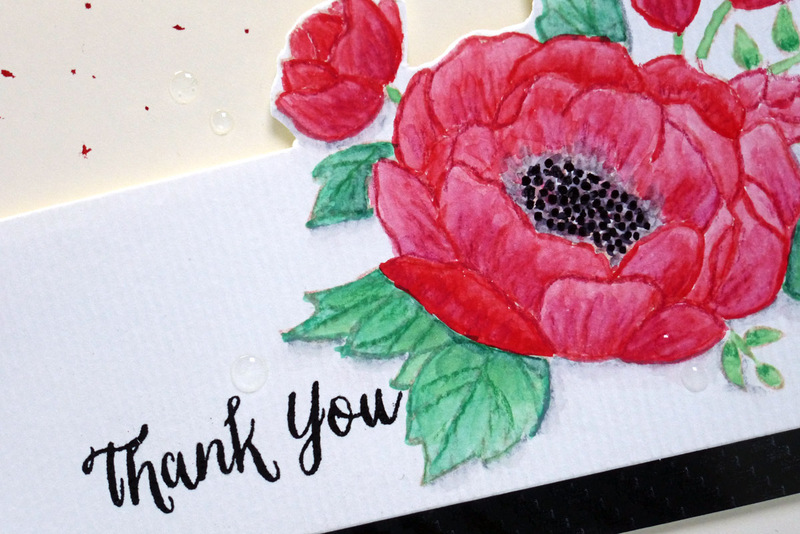 Not sure why you would give up water coloring after making this card, simply gorgeous!